Trinity College Round Bread Server by M.LaHart & Co.
Gear up your school spirit with the gift of awesome NCAA and college products. 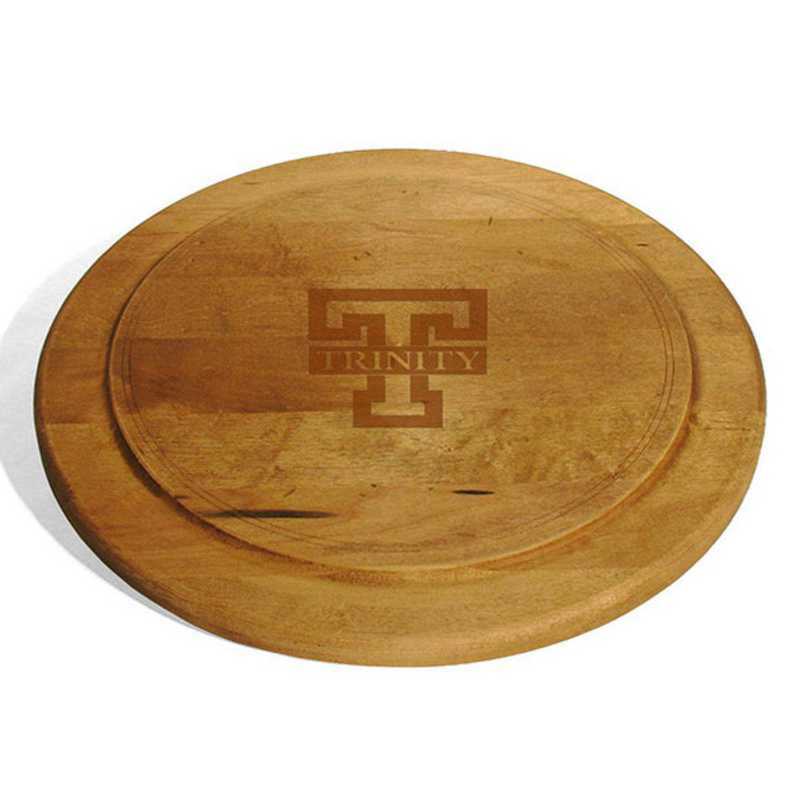 The Trinity College Round Bread Server is perfect for bread, cheese or whatever you choose. Sanded by hand to a smooth, beautifully worn finish, featuring the Trinity logo., Measures 13 x 13 x 3/4 in., Made in Vermont from solid Maple., Highly detailed, laser engraved logo in center., Only at M.LaHart & Co., Artisan teak oil finish protects the board.Officially licensed by Trinity College.Manufactured direct from a trusted supplier. You're reviewing:Trinity College Round Bread Server by M.LaHart & Co.